How Much For New Fencing in Hull? We may be known for our fencing in Hull but did you know that we at Hull Fencing also supply and install garden gates in Hull and surrounding areas. 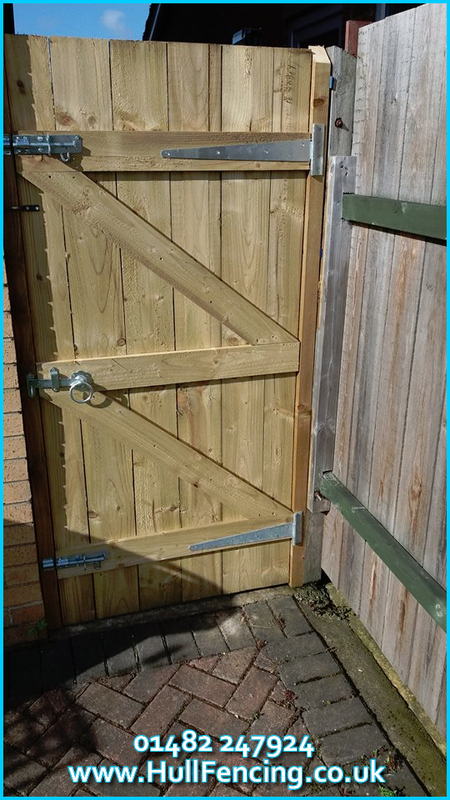 Most clients go ahead and have a garden gate supplied and fitted if they are having a new fence too, but we can just supply a garden gate in Hull solely on its own. We at Hull Fencing are able to supply and install garden gates in Hull in a range of different sizes and styles. We also don’t just offer wooden garden gates but also wrought iron gates too. We guarantee that we will find you the right size and style of garden gate in Hull here at Hull Fencing. For more information don’t hesitate to pop by our new showroom at 82 Leads Road or call us!